During three days the guests from Germany, Austria, Switzerland, Israel, the Netherlands and the USA met their Finnish colleagues from the jazz and world music scenes and watched 16 showcases at seven different locations in Helsinki. The guest group consisted of agents, promoters as well as label and festival representatives. The 16 bands and artists performing at the event were chosen out of numerous applications, resulting in over 90 musicians and artists participating at Arctic Paradise. The showcase line-up consisted of Aki Rissanen Trio, Anne-Mari Kivimäki, Antti Paalanen, Buba Wii Aa, Elifantree, Espoo Big Band & Husband, Frigg, Helsinki-Cotonou Ensemble, Hilja Grönfors, Ilkka Heinonen Trio + Karoliina Kantelinen, Mikko Innanen 10+, Mopo, Ontrei, Pekko Käppi & K:H:H:L, Verneri Pohjola and Vilma Timonen Quartet. Jukka Eskola Soul Trio stepped in for Verneri Pohjola who couldn’t participate due to illness. Arctic Paradise was organized in cooperation with the Finnish participants. In total, 34 different companies and freelance operators from the music industry as well as guests such as festival agents participated – overall 70 Finnish music industry representatives. 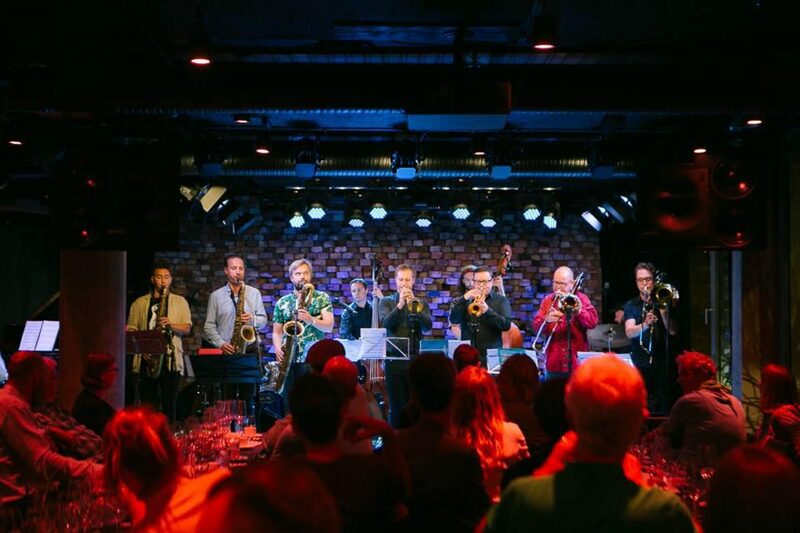 The event aimed to present some of the best Finnish jazz and world music talents and to connect important representatives of these scenes to create new international partnerships, strengthen the export possibilities of companies and artists, and to increase their level of visibility abroad. Networking and getting to know more about Finnish music were a main aspect for participating Arctic Paradise also for the international guests, such as Benedikt Wieland of Prolog Music, a Swiss Label. Timing was perfect for Ariane Spiekermann of the German booking agency Red House Agency. For Stefanie Marcus of the label Traumton Music, Arctic Paradise offered the opportunity “to get to know music and musicians that we haven’t noticed to that degree in Germany yet“. Also the Finnish participants considered the networking element to be essential. “Expanding my network in the German speaking area, and finding new opportunities for the artists I represent were my main goals. The panel of guests matched these quite well,” remarks Charles Gil, whose company Vapaat Äänet represents artists like Mikko Innanen. While making new contacts was important, also meeting already existing ones was possible at Arctic Paradise as Aija and Jyri Lehtonen of Bafe’s Factory mention. The event also offered some premiers. “Our goal was to get to carry out our first ever showcase gig and see how that goes. To see what else (besides our current arrangement) is out there for us in terms of booking agencies, and to introduce Helsinki-Cotonou Ensemble to new industry professionals and see what comes out of that”. Arctic Paradise was a positive experience for both the international as well as the Finnish participants. Annamaija Saarela of Annamaija Music Company (representing Elifantree among others) says that the overall dramaturgy of the event was a success. Besides the concerts, also the venues such as the newly opened G Livelab and the traditional Kapsäkki Music Theatre were a highlight for Saarela. And first results like concert bookings are already on the horizon. Arctic Paradise also offered a new perspective of Finland for veterans such as Michael Gottfried of the label ACT Music. ”I’ve travelled to Finland regularly for over 15 years out of personal reasons. But these three days so full of music, great people and places have changed my view of the country. I really feel that Helsinki is one of the most exciting places to visit in Europe. Maybe it was due to the great weather but I’ve never seen the city so alive, warm and positive”, praises Gottfried. The program allowed the guests to get to know lots about the town and the country as well as the Finnish participants in a short time, Stefanie Marcus of Traumton Music emphasizes. “The hospitality was overwhelming and the program very versatile and informative in all its parts. Within a short time span we saw a lot of Helsinki and learned a lot about the town, the participants and the musicians in a relaxed and very personal way, and established an intensive exchange”, Marcus states. Isabel Soffer of globalFEST and Live Sounds from the USA agrees. ”Arctic Paradise was one of the more productive music events I have attended. The artistic level was very high and the organization and venue choices were superb-technically and atmosphere-wise. Often, at these types of meetings we don’t meet the artists much, but at Arctic Paradise we spent a lot of time with artists“. The musical diversity of the program lead to a variety of personal highlights. Ariane Spiekermann of Red House Agency puts this in a nutshell. “It is difficult for me to say which bands I liked best, because there was such an abundance of excellent music”, Spiekermann raves. As a result, she considers working together with some of the artists and bands and representing them as an agent. Isabel Soffer was impressed by the overall creativity. “I loved the creativity that each band brought to the stage. I was surprised time and again by the styles of music performed and the high quality performances – from heavy metal folk to Yoik songs and Karelian performance art to a big-band jazz-rock show – each band brought an unexpected and exciting element that really seems unique to Finland”.